North View in Malvern, Worcs sleeps 8 people. 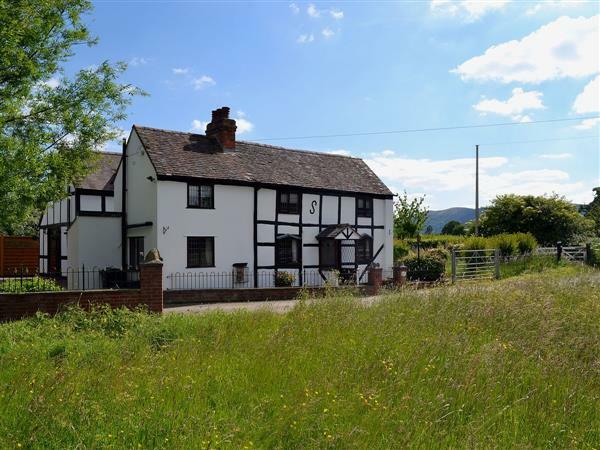 This magnificent detached holiday home lies just a short walk away from the heart of Great Malvern. Comfortable and spacious, it has a fabulous outdoor hot tub. Malvern has a theatre, shops, restaurants and bistros. Enjoy walking in the Malvern Hills, an Area of Outstanding Natural Beauty, or take a leisurely stroll following the Elgar Trail. Visit the Three Counties Show Ground, Ledbury with its food festival, Worcester, Cheltenham, Stratford-upon-Avon, the Cotswolds and the Welsh Marshes. Shop and pub ½ mile. For a better idea of where North View is, you can see North View on the map below. North View is in Worcestershire; should you be on the lookout for a special offer, you can find all the special offers in Worcestershire. It's always worth checking to see what is on offer at the moment. Do you want to holiday near North View (RCCM), you can see other cottages within 25 miles of North View; have a look to find your perfect holiday location.